The Central Valley Project’s (CVP) Friant Dam diverts San Joaquin River water into the Friant-Kern and Madera canals. Twenty-eight districts and cities have water service contracts with CVP covering parts of Merced, Madera, Fresno, Tulare and Kern counties, which amounts to nearly one million acres and 15,000 farms. Fresno Irrigation District (FID) operates approximately 800 miles of canals and pipelines in Fresno County. In a normal year, FID diverts approximately 500,000 acre-feet of water from the Kings and San Joaquin rivers. Most of that water is delivered to agricultural users, but an increasing share of the water supply is being used for groundwater recharge and to supply surface water treatment plants in the Fresno-Clovis metropolitan area. With vested water rights and entitlements, 28 local agencies of the Kings River Water Association receive Kings River water through a vast network of canals. The Kings River service area includes over one million acres in parts of Fresno, Kings and Tulare counties & reaching nearly 20,000 farms. On the Valley’s west side, there are two important canals that deliver water from the Sacramento-San Joaquin Delta and northern state reservoirs. The Delta-Mendota Canal serves CVP contractors along the west side in parts of Merced, Fresno, Kings and Madera counties, including the huge Westlands Water District and the San Joaquin River Exchange Contractors Water Authority. The California Aqueduct transports State Water Project supplies to farm users in Kings and Kern counties and is jointly used as far south as Kettleman City to help make CVP deliveries. The regional well system pumps groundwater from the aquiferto supply the Valley with enough water to support residential and business users. The City of Fresno operates 250 wells, the City of Clovis 37 wells and the Bakman Water Company an additional 14 wells. 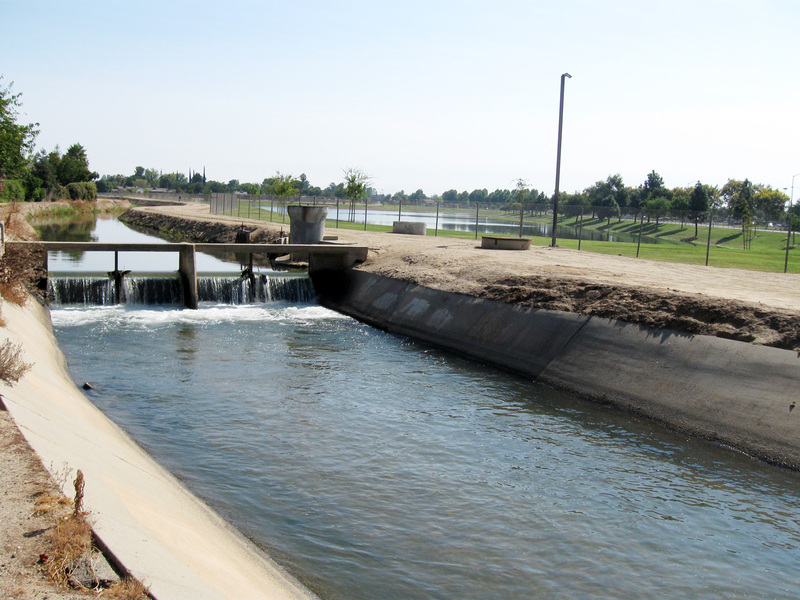 Both the cities of Fresno and Clovis have constructed surface water treatment facilities. These facilities supplement the groundwater delivered to residents with treated surface water & helping to reduce the overdraft of our groundwater resources. Surface water from FID’s Enterprise Canal is treated at the sites and then delivered to the community through pipelines. The facilities adhere to all water quality regulations and are certified by the California State Health Department.